Located 1 km from Lakshman Jhula, this is an offering of a private room in a guesthouse, which can accommodate up to three people. 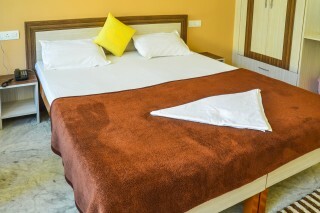 This cheerful accommodation is perfect for couples and small groups. 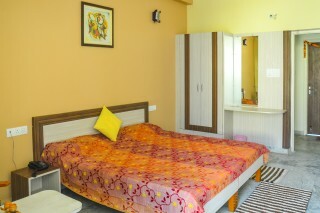 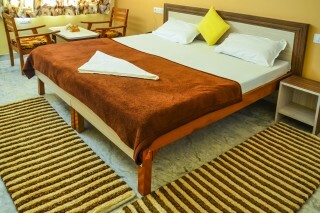 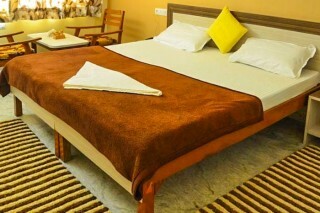 The guesthouse is 8 km from Triveni Ghat and 11 km from Ram Jhula. 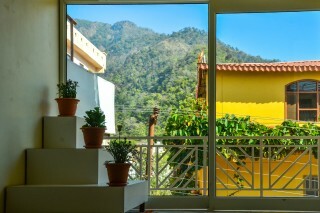 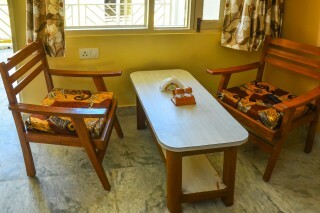 Your Space Done up in simplistic cosy interiors like canary-yellow walls, the room on offer is furnished with a double bed, a coffee table set by the window, and homely runner rugs, while it is equipped with a vanity unit and a wardrobe.